As of today, January 26, 2016, the Mammoth Lakes real estate market has a total of 54 homes, 141 condos, and 44 vacant land listings on the market. The series of snowstorms, which started late November through present, have made the skiing/riding conditions excellent. As a result, the Town of Mammoth Lakes has enjoyed some of the highest tourism numbers we’ve seen in years (during the winter season), which is great for the local economy. We have another series of storms coming this Friday through the following week, which should continue to build the great snow pack. Although the excellent skiing/riding conditions have brought healthy tourism to Mammoth this season, the strong demand for real estate hasn’t quite surfaced yet. Typically, the winter season coupled with good snowfall creates a buying frenzy from the holidays through spring time. It appears that even with aggressive price reductions, some properties are still sitting on the market. Heading into 2015 last year, there seemed to be an obvious shortage of attractive homes on the market along with a more limited inventory of condos and homes. This year, the inventory seems to be a bit higher, despite the snow we’ve gotten. There is no question that the uncertainty in the markets (world and stock markets) has played into the apprehension to buy real estate. As we approach the presidential elections in November, it will be interesting to see how it affects the real estate markets (not just in Mammoth Lakes, but nationwide) in general. There has been much talk about the meticulously well-kept and maintained Sierra Star golf course closing. 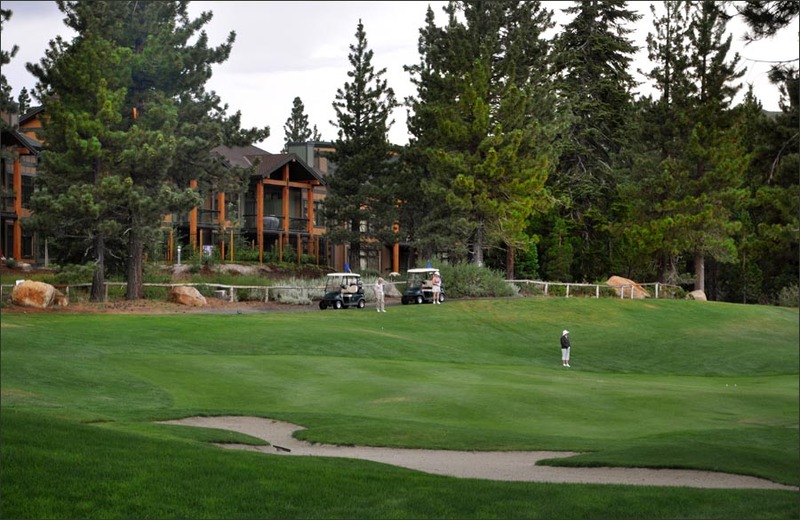 Apparently, the golf course has been losing money each year and Mammoth Mountain executives have considered developing the parcel of land where the golf course is situated to also include a hotel. I have heard from many people that if this plan was to actually materialize, the homeowners that bought property along the Sierra Star golf course would possibly bring legal action against Mammoth Mountain’s owner and operator of the Sierra Star golf course. It would seem highly unlikely that given the potential ramifications, the golf course will actually close. Mammoth Lakes has been struggling to get to the next level for years as a year-round destination resort. This town needs two golf courses and the closure of the Sierra Star golf course would impact the Town negatively in many ways. There have been too many disastrous decisions made by the powers that be over the course of history, which have kept Mammoth Lakes from blooming into its full potential. More bad press is the last thing our town needs. Although 2015 started out with a healthy demand for real estate during the first quarter, it basically came to a standstill for the 2nd and 3rd quarters and then picked up again (STRONG) during the 4th quarter. All of the “El Nino” hype might have helped, as the 4th quarter made up for the lack of sales during the previous months to finish off the year ahead of 2014. Let’s take a look at 2015 closed sales in Mammoth to get a better understanding of what the market did vs. 2014. Overall, last year Mammoth Lakes closed sales totaled 367 homes, condos and lots combined. The highest list price was $4,995,000, lowest was $29,900, average was $511,536, median was $370,000 and total list price volume combined was $190,803,200. The highest sold price was $4,250,000, lowest was $27,000, average was $485,564, median was $360,000, and total sales price volume combined was $181,115,632. The highest days on market were 1,178, lowest was 0, average was 164, and median was 129. In narrowing down the closed sales volume above for 2015, home sales totaled 85, and ranged in price from $115,000 to $4,250,000 with median sales at $765,000 and average closed sales at $980,349.00. Broken down by subdivision: The Bluffs had 2 closed sales, Crooked Pines had 1, Gray Bear had 3, Graystone had 4, Graywolf had 2, Holiday Pines: 3, Holiday Ridge: 1, Juniper Ridge: 1, Lake Mary: 1, Laurel Meadows: 1, Majestic Pines: 2, Mammoth Camp Tract (in Old Mammoth): 6, Mammoth Knolls: 7, Mammoth Slopes: 18, Mammoth Vista: 8, Sierra Vista Estates: 4, Snowcreek Crest: 1, Snowcreek Ranch: 1, Starwood: 5, Timber Ridge Estates: 2, the Trails: 2, and a few other sales in various other subdivisions. It seems that the most popular place to buy a home in 2015 was in the Mammoth Slopes subdivision for all 5 combined (Mammoth Slopes 1-5). This neighborhood is located in between the Village at Mammoth and Canyon Lodge, and bordered by Lakeview Blvd. and Hillside Drive. These homes have the typical “Mountain Resort” feel that many homeowners look for when buying a home in Mammoth. 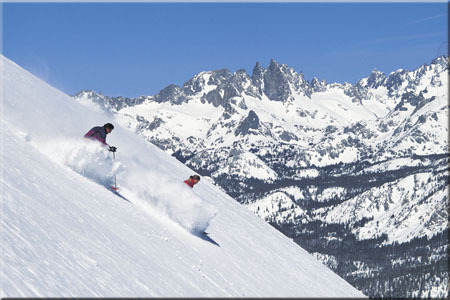 The location is also quite popular – close to the ski slopes at Canyon Lodge or the Village at Mammoth. A detailed look at condo sales in Mammoth for 2015 shows a total of 271 closed sales with $1,225,000 as the highest closed sale and $120,000 at the lowest. The median sale for condos in 2015 was $305,000, average closed sale was $347,764, and total sales volume for condos was $94,244,216. The most popular condo developments for closed sales were as follows: Bigwood: 4, Chateau De Montagne: 3, Chamonix: 10, Crestview: 5, Courchevel: 3, Gray Eagle I & II: 5, Hidden Valley: 5, Horizons IV: 4, Juniper Springs Lodge: 6, Krystal Villa East: 8, Lincoln House: 4, La Vista Blanc: 8, Mammoth Estates: 5, Mammoth Green: 4, Westin Monache: 4, Mammoth Point: 3, Mammoth Ski & Racquet: 8, Mountain Shadows: 6, Snowcreek I-V: 45, Sherwin Villas: 4, Seasons IV: 6, San Joaquin Villas: 3, Sierra Manors: 6, Snowflower: 3, Sunrise: 3, Sunshine Village: 3, The Lodges: 5, Tyrolean Village: 4, and the Woodlands with 3 closed sales. Snowcreek is a huge development, which had the highest concentration of closed sales. Snowcreek condos are appealing to many people who like being on the outskirts of town with “wide open” views and access to golf, walking trails and the meadow. These units also tend to rent very well on a year-round basis. In contrast, let’s take a look at the 2014 closed sales vs. 2015. During 2014, the total closed sales volume combined for homes, condos and lots was 351 – down by 16 from 2015. The highest closed sale was $3,250,000, lowest was $65,000, median sale was $350,000, average was $440,206 and total closed sales volume was $155,392,762. The highest days on market were 2,296, lowest was 0, average was 170, and median was 100. In contrast, 2015 was ahead in total closed sales volume (up by 16 sales), highest sale of $4,250,000 vs. $3,250,000 in 2014, average sale of $485,564 vs. $440,206 in 2014, median closed sale of $360,000 vs. $350,000 in 2014 and total sales price volume combined was $181,115,632 in 2015 vs. $155,392,762 in 2014. In summary, 2015 finished strong enough with the surge in 4th quarter sales to pass 2014 in all categories. As always, for questions or to schedule a property showing, please feel free to contact me directly.